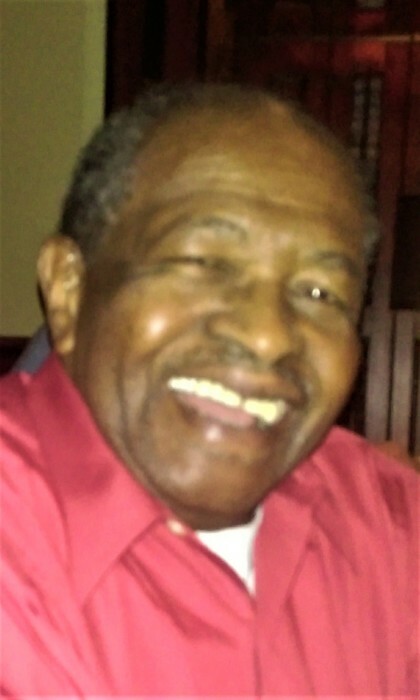 Obituary for Jeremiah Jenkins | Hooper Memorial Home Inc.
Born the ninth child to the union of Luther Jenkins and Minnie Simms Jenkins. Deacon Jerry was a graduate of the former William Penn High School. He worked hard with his father’s businesses, but his life would take another path which would cause Jerry to leave home for the better of 60 years. He joined the military directly out of high school and circumvented the globe with the Air Force proudly serving his country for 30 years. Although he left home he never left his roots and devotion to the Kingdom of God. He maintained and practiced a life of the Holy scriptures which he had been taught as a youth. His deployment to March AFB would bring him to meet the family of his first wife Annette Johnson Jenkins whom he met in 1959 and married June 18, 1960 in Sacramento California. He and Annette made their home around the world and to their union were born three children Jeremiah Jr., Kathy Lynette and Christina Renee. He was stationed in numerous countries, Thule Greenland, Seoul Korea, California on several occasions, Incirlik Turkey, Zaragoza, Spain, Fairford, England, New Mexico and finally Luke AFB Phoenix Arizona where he and Annette would retire. This is also where Deacon Jerry found ministry with Pastor Lee Montague working with inner city youth in a wilderness program where he and Annette would provide meals for the campers each summer. Jerry also worked as a police family liaison for the Phoenix Police Department and served on the Phoenix Board of Education Lunch program. He was a deacon with the ministry of Pastor Ezra McCowan in Phoenix AZ. After the death of his wife Annette 2001, on instructions from his daughter Kathy, he would go back to his family Pennsylvania where he reconnected with Christine Alexander Briggs whom he had known prior to leaving for the Air Force. They married December 28, 2002 and moved to Phoenix AZ and then to Bartlett TN and finally Jerry made his full circle and moved back Pennsylvania to the land from which was born to lay his head to rest. A faithful member of Shiloh COGIC served on the board of deacons and in the missions department. Preceded in death by his first wife Annette Johnson Jenkins, children Jeremiah Jenkins Jr., Christina Renee Jenkins. Father Luther Jenkins Sr., Mother Minnie Simms Jenkins siblings: Susie Jenkins Smith, George Jenkins, Luther A Jenkins, Drusilla Jenkins, Carrie Jenkins, John Jenkins, Russell Jenkins and is survived by his second wife Christine Alexander Briggs Jenkins, siblings Eliza Jenkins Marbury, Minnie Jenkins, Rev. Patricia Jenkins and Allen Jenkins, daughter Kathy Lynette Jenkins, grand children Annette Renee and Luther Desmond Alexander: great grandchildren: Jeremiah Xavier Sebastian, Najayla Katlyn Ann, Christina Olivia Renee, Christian Jonathan Russell, Relayah Faye Colette, and Joshua Michael Lee, and a host of extended family including Christine’s Daughter Diane Lawson her children Giavonna, and Ronald T. Lawson and grandchildren, Ylynne and Kevin T Fox; Amaya and Lauren Lawson, friends and loved ones. In lieu of flowers please bring a gift for Shiloh COGIC missions.